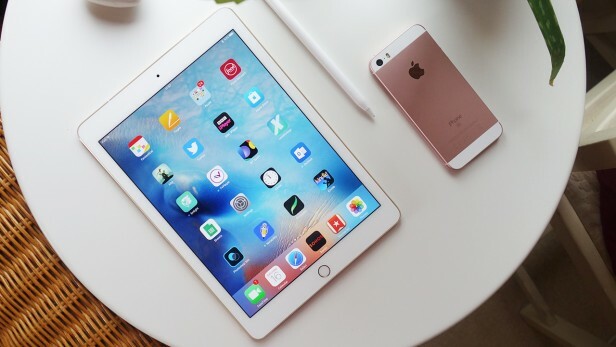 9.7 inch iPad Pro version with "True Tone Display", 12MP camera, shooting 4K, colorful Smart Keyboard and 256GB memory version, the first appeared on iOS devices. Miniature version of iPad Pro has 9.7 inch screen size. Body size is equal with Apple&apos;s iPad Air 2, "size iPad most common uses", but 9.7 inch iPad Pro lighter than the iPad Air 2. WHAT IS THE 9.7-INCH IPAD PRO? The first thing to note about the 9.7-inch iPad is that it isn&apos;t a replacement for your laptop – no matter how much Apple wants you to believe it is. However, there&apos;s no doubt this is the finest tablet Apple has ever made. This model takes almost all the power of the iPad Pro we saw last year, and crams it into a smaller, more manageable body. In addition, there&apos;s an improved display and a camera that surpasses any I&apos;ve seen on a tablet before. When you budget in the accessories this iPad Pro is an expensive proposition, but one that&apos;s worth it. what is the 9.7 inch ipad pro? Lay the new 9.7-inch iPad Pro next to the iPad Air 2 and you’d be hard-pushed to tell them apart. Apple has stuck to the same well-worn design blueprint that it now uses for all its tablets, and while I’d like to see a little more experimentation with the overall look, it’s aged exceptionally well. 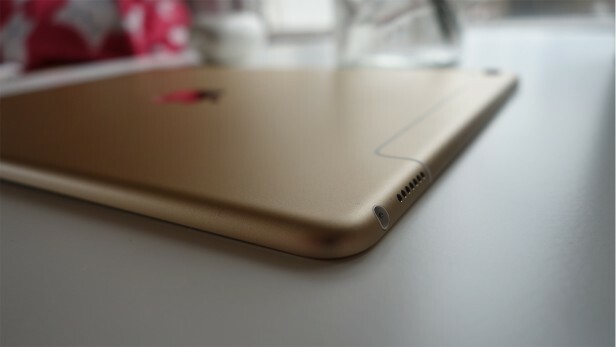 Unlike the iPhone with its rounded sides, the iPad relies heavily on its glistening chamfers to make it standout. 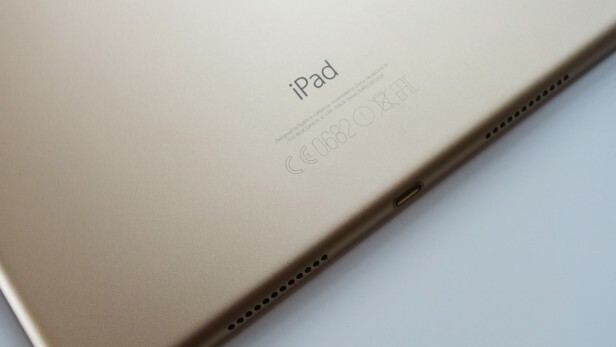 There are a few differences from the iPad Air 2, but they’re minimal. There are now two sets of speakers, on both the top and bottom of the device, along with the clever little smart connector that pairs the tablet with the Smart Keyboard. Apple has also redesigned the antenna system on the 4G iPad, ditching the thick white bar for something that&apos;s far more streamlined. Overall, however, it&apos;s the same iPad you’ve come to know. It’s precisely built, as you’d expect from an Apple product, with machined speaker grilles and an air of quality. There are still only two ports – Lightning and a headphone jack – and while I&apos;d liked to have seen a move to USB-C, it was never really on the cards. Below the display sits the now iconic home button, which doubles as the Touch ID fingerprint sensor. This is the version seen on the iPhone 6 and iPad Air 2, rather than the faster one in the iPhone 6S. The iPad Pro is all aluminum and glass – there&apos;s no plastic to be seen anywhere – and it easily feels like a product that&apos;s worthy of its price tag. At 6.1mm and 437g, it’s an incredibly slim and light tablet. It&apos;s perfectly weighted, too, making it easy to hold in just one hand for reading or watching a film. If you’ve recently invested in Apple’s larger 12.9-inch iPad Pro, then this next section annoy you. While both the 9.7 and 12.9-inch slates come with the "Pro" moniker, they’re far from being the same beast. 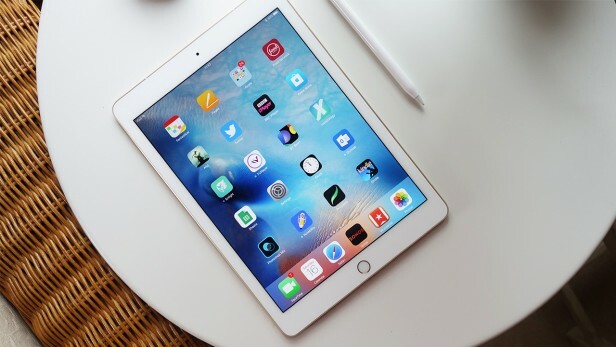 At first glance of the specs you’d be mistaken for concluding that there isn’t much difference between the 9.7-inch iPad Pro and it’s cheaper cousin, the iPad Air 2. They both have 9.7-inch Retina displays with the same resolution and 264 pixel-per-inch density. However, the new screen tech used in the 9.7-inch iPad Pro blows the iPad Air 2 and big Pro out of the water. 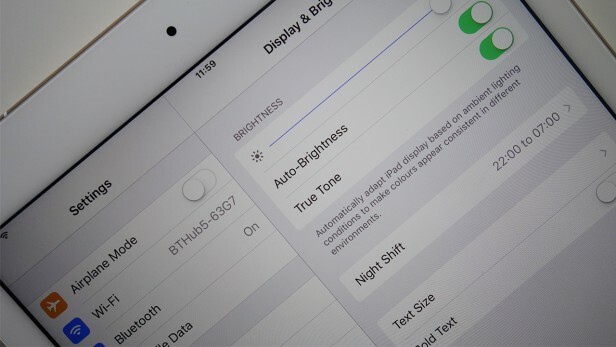 Apple has introduced something called a True Tone display on the new iPad. The company has used that moniker before, with reference to LED flashes, but this is the first time the tech has been used in a tablet. And the difference it makes to the screen, although subtle, is undeniable. Basically, the display now dynamically adapts to the environment, switching the colours and white balance on the screen depending on the lighting in the room. If you’re reading in the dark, for example, it will tone everything down, removing blue hues and giving the display a warmer, orange glow. It&apos;s great for reading and browsing the web. It might sound like a small change, but it really is fantastic. I now pick up an iPad Air 2 or even the larger iPad Pro and feel the display is just far too blue. Obviously, this True Tone tech isn’t for all situations. If you’re working on something that requires colours to be accurate then you&apos;ll have to switch the tech off. Ideally I&apos;d like a few callibration options, like you have on the Samsung Galaxy TabPro S, but this is small quibble. The display benefits from improvements in other areas too. It’s now much more visible in direct sunlight, almost to a point that I can use it normally while sitting outside. If Apple could bring this to the iPhone 7, it would be a boon. The colour gamut has also been improved by 25% over the iPad Air 2, and Apple claims that this is the first tablet to use the same colour space as the cinema industry. Again, the difference really is noticeable. This version of the iPad Pro displays a much wider array of colours than any other iPad, presenting deeper blacks, whiter whites and brighter reds and greens. If you’re editing photos, the effects will be even more apparent. All these advances combine to give the 9.7-inch iPad Pro the best display on any iPad yet. It’s the ultimate media machine. I’ve watched Star Wars: The Force Awakens multiple times on the device just to experience it over and over again. Complementing the fantastic True Tone display is an equally superb set of speakers. Audio is often disappointingly forgotten about on mobile products, but this certainly isn&apos;t the case here. There are four speakers on this tablet, two at each end, and they sound terrific. To date, I haven&apos;t yet felt a need to hook up this iPad to a Bluetooth speaker, simply because the onboard audio setup is so good. Each of these stereo speakers produces sound that adjusts according to the position in which the device is held, so higher frequencies don’t seem off. Audio is balanced – only the top two units produce mid and high tones – but I&apos;d prefer a tad more bass when listening to music. That’s just me being picky, though. Even more impressive is the lack of any distortion even at the highest volume – remarkable stuff.